Artist Carolina (Caro) Fontoura Alzaga challenges the “necessity for the new” by creating magnificent Victorian style chandeliers from trashed bike parts sourced from local Los Angeles shops. Many of the pieces in her new CONNECT Series are massive, cascading structures that take months to produce in her downtown studio. Read on to see her creative process, and the painstaking effort that goes into these amazing upcycled chandeliers. Caro’s Facaro studio focuses on art that explores of the “third function” of materials – meaning that things have an original function, become waste, and then they can be reborn. For her new CONNECT Series of chandeliers, Caro was inspired by racks for pots and pans that resemble functional mobiles. 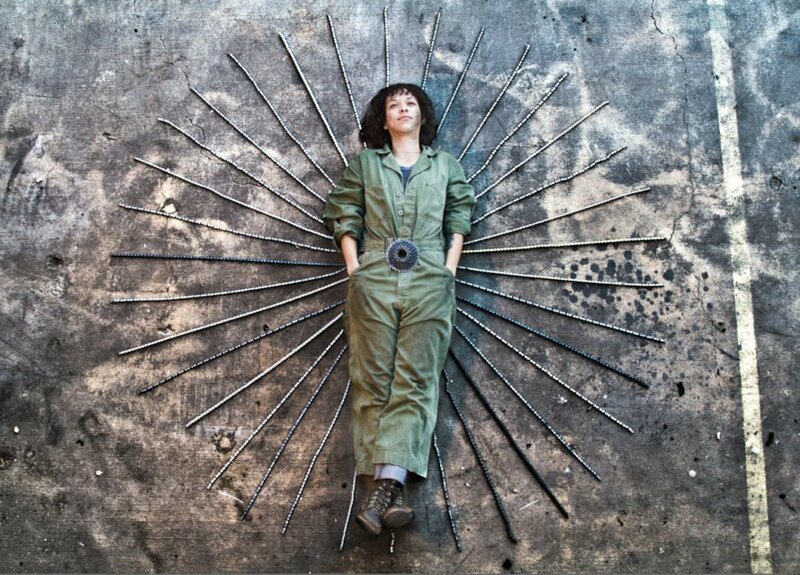 To expand that idea into something more grandiose that a mobile, she decided to use bike rims, chains, tubes, and gears to create chandeliers. Each chandelier in the CONNECT Series is completely unique, due to the nature of the materials. Each one is made to order, and they can be customized. If you are thinking of purchasing one of these beauties for your home, you’ll be happy to know that Facaro donates 10% of profits to the Derailer Bike Collective -a free, volunteer-run, community bike shop in Denver, Co.
FYI - The 'upcycled chandliers' hyperlink sends you to work that was not created by Facaro. 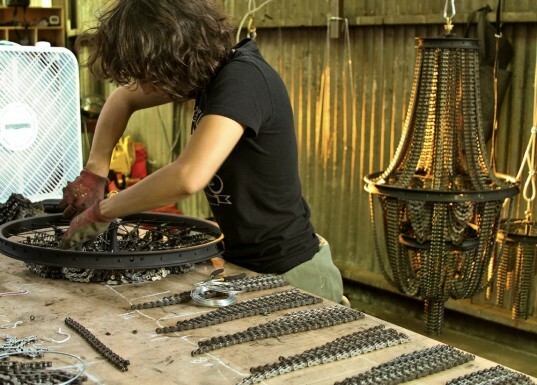 Artist Carolina (Caro) Fontoura Alzaga challenges the "necessity for the new" by creating magnificent Victorian style chandeliers from trashed bike parts sourced from local Los Angeles shops. Many of the pieces in her new CONNECT Series are massive, cascading structures that take months to produce in her downtown studio. Read on to see her creative process, and the painstaking effort that goes into these amazing upcycled chandeliers.